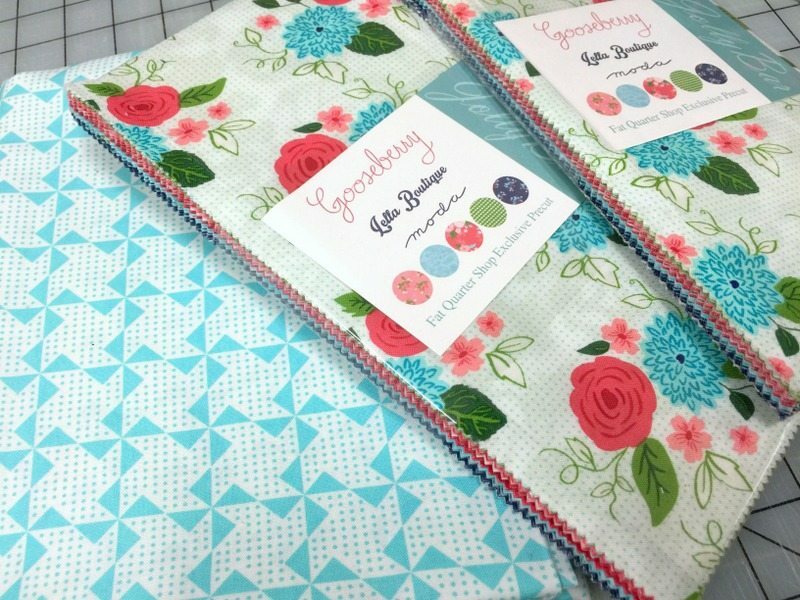 The Fat Quarter Shop in conjunction with Moda fabrics have created the fabulous pre-cut the Jolly Bar. Measuring 5″ x 10″ (half a layer cake piece), this 42 piece bundle of sweetness comes in your favourite Moda designer collection with a bonus pattern. 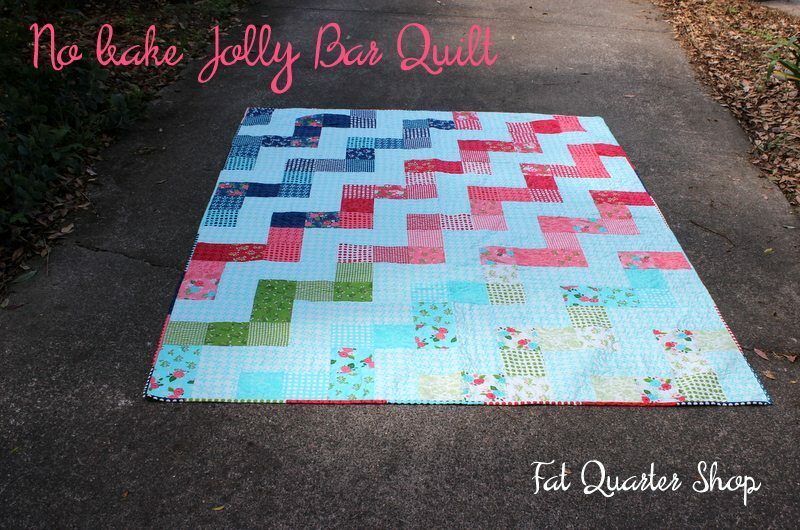 Today’s quilt is the No Bake Jolly Bar Quilt, one of FQS featured Jolly Bar patterns. 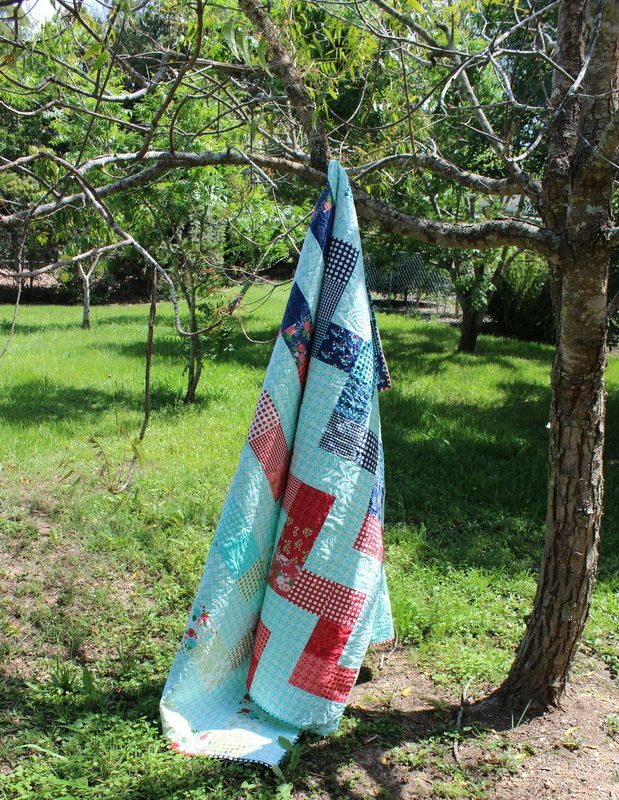 The finished quilt measures 63 1/2″ x 81 1/2″, perfect for a single bed and can be made in a day. Using 2 Jolly Bars and some yardage from the Lella Boutique range Gooseberry, I arranged the prints into colour ways and cascaded them throughout the quilt. Vanessa’s collection is dreamy and it is one of those fabrics you wish you had bought more. Finished with a scrappy binding made up of the left over jolly pieces and quilted with Aurifil 2085 50wt cotton. Backed in a Bonnie and Camille Day Sail aqua text print. Visit each participants site to view their wonderful projects. Visit the FQS youtube channel to view the great pre-cut tutorials and find more FQS exclusive pre-cut patterns here. Thank you Marjorie. They are a good size to make quick quilts. Love the way you placed the colors on you quilt. Great quilt. Thank you Vicki. I wanted to create a wash effect. I love the way you placed to colors in the quilt to gradually move from one color to the next or to gradually get darker. It is a stunning quilt and I love the Gooseberry line. Perfect fabric choice. Thank you for sharing. Thank you Jessica. I love Gooseberry as well. It is so fun to see how all of you have made your lovely quilts. I have it on my to do list. Thanks. Thank you Jenelle. It is an easy and fun quilt to make. 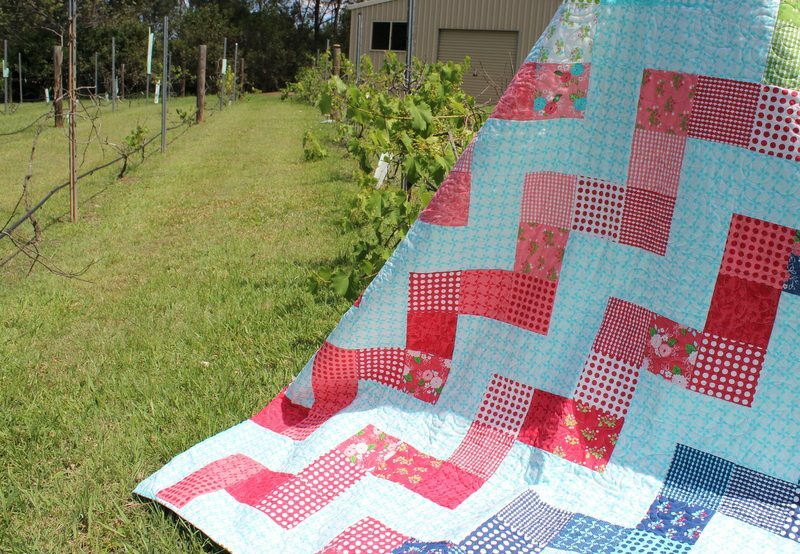 This is such a pretty quilt to be so simple!